I'm so thrilled Fall has finally arrived in Vegas, so I can start wearing cute dresses with tights and booties. 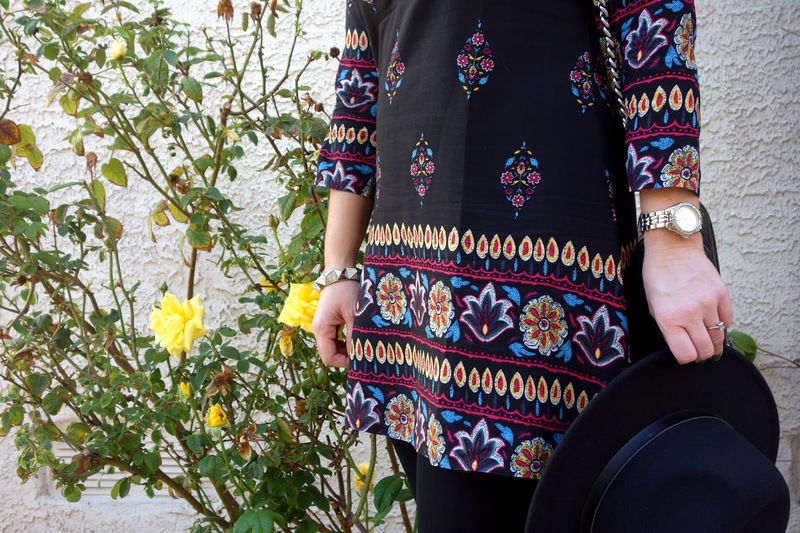 Today I want to share this Floral Mini A Line Dress with you. I just added it to my closet and have been rocking it with black tights and black booties. To dress it up even more, I will be wearing it with a double wrap black leather belt and black leather over the knee boots. This dress is made of polyester but feels like a thin cotton. I plan on keeping this around for summer to wear with some black wedges. Enjoy the rest of your week! Thanks for stopping by! This post was created in collaboration with Rose Gal. All thoughts and opinions are my own. Love the dress with the shoes! 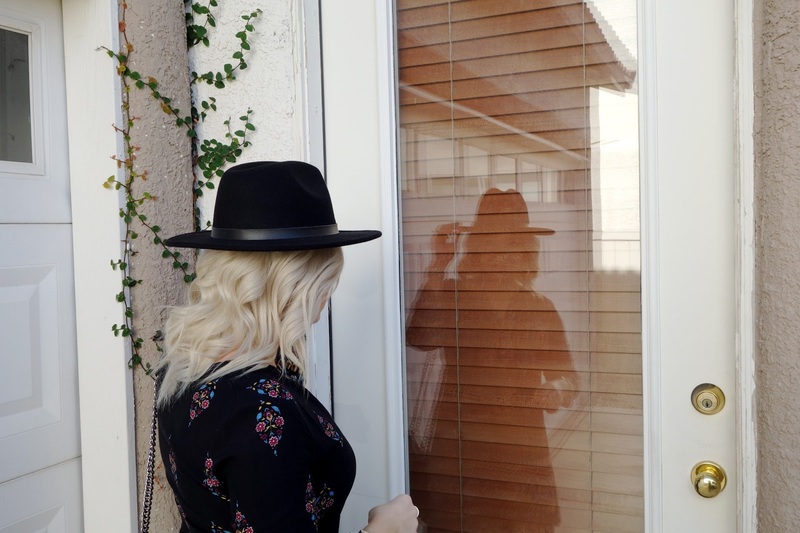 Such a cute fall look! What a cute dress! It looks so versatile! It would be great with a leather jacket too! Oh yah! A leather jacket would look fabulous! This is the cutest! I love that dress! The print is so pretty! I love the print of that dress! It's gorgeous! 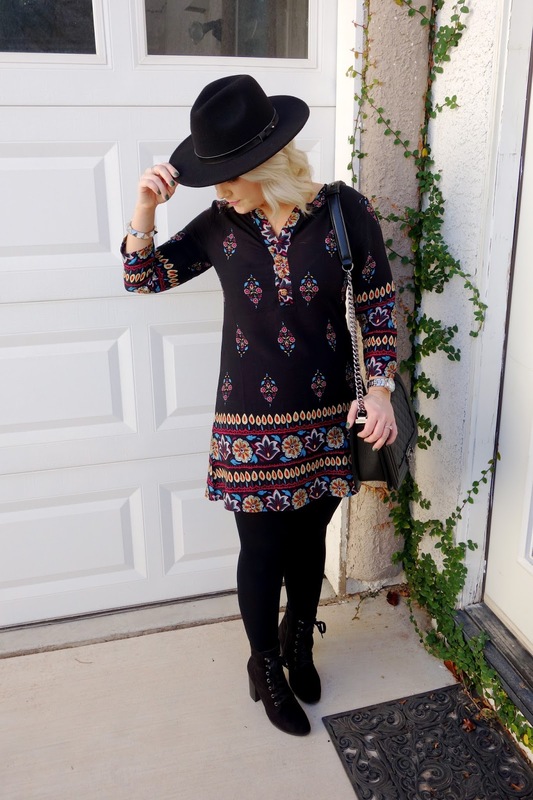 Love this dress and those boots!Also great for any season which I love. You look beautiful. I am obsessed with your dress.